Parents And Screentime. . . A Surprising Infographic. . .
Then, I took the next step. It’s a step that hushes the parental gasps. In case you’re wondering where our kids learn this stuff, we need to look no further than ourselves. 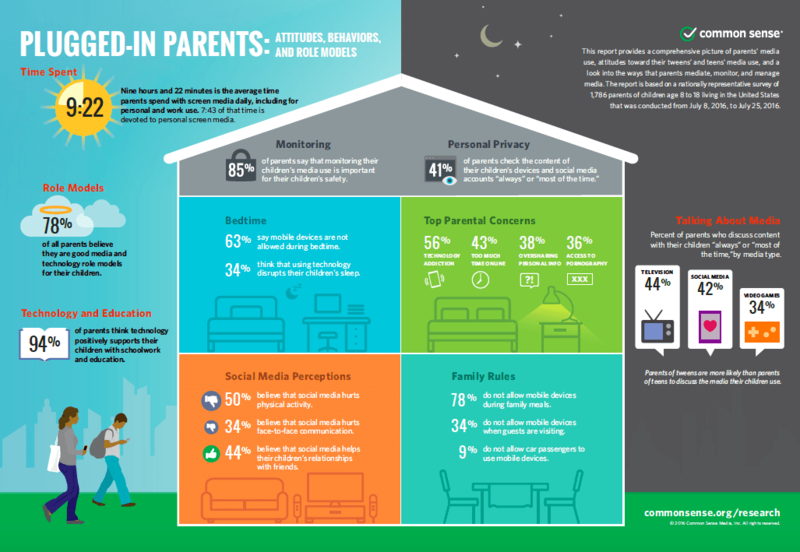 Late last year, the folks at Common Sense Media released the data on parents. . . and it’s 9 hours and 22 minutes. Our example speaks loudly. Go ahead and share this infographic with parents. . . and then send them to our Digital Kids Initiative for help with using social media, screens, and technology to the Glory of God. You can access the infographic here. ← Mike Pence’s Borders and Boundaries. . . Why They’re Necessary. . .